Tamil is a language in the Dravidian language family, which is native to the Tamil ethnic group of India and Sri Lanka. Tamil is an official language in Sri Lanka and Singapore. In India, it is one of the 22 scheduled languages and is spoken mostly in Tamil Nadu and Puducherry. Tamil is among the oldest living classical languages in the world, along with Sanskrit, Greek, Hebrew, and a few others. Hindu legend has it that the Tamil language was created by Shiva and brought to Earth by Murugan, a Tamil god, and a sage called Agastya. The first text published in any Indian language was a Tamil prayer book called “Thambiraan Vanakkam”, and was published by Portuguese missionaries in 1578. Back in the very early days of Indian maritime trade, Tamil was used as a lingua franca by traders. The Tamil dictionary, called Tamil Lexicon, was the first Indian language dictionary to ever be published. Why do you need Tamil translation services? 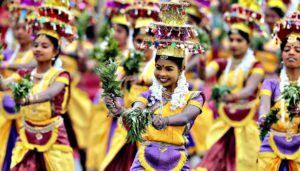 Almost 20% of the population of Sri Lanka is made up of ethnic Tamil people, who speak Tamil as their mother tongue. 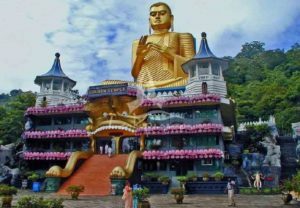 Sri Lanka is known for its diversity, in terms of religion, ethnicities, and languages and has historically been of great importance to many trade routes, namely the Silk Road. Sri Lanka is one of the founding members of the South Asian Association for Regional Cooperation (SAARC), a geopolitical union and regional intergovernmental organization. This organization launched The South Asian Free Trade Area (SAFTA) in 2006. With so much emphasis on foreign relations and trade, Sri Lanka is predicated to grow as a nation, which makes Tamil translation services very important. If you are looking to work with any Sri Lankan or Tamil-speaking business or organization, having a professional translation team to help you create good relationships can save you both time and money, as well as giving you a great reputation. Get started with Tamil translation services today!